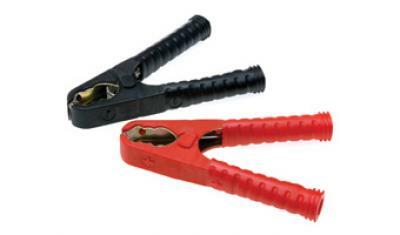 A set of one red and one black fully insulated formed steel heavy duty crocodile clips with moulded plastic handles. Accepts up to 50mm sqr cable. Rated for continuous use at 170 amps. Length: 195mm. 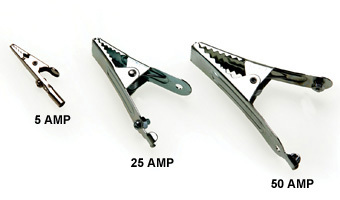 A set of two 5, 25 or 50 amp steel plated crocodile clips. 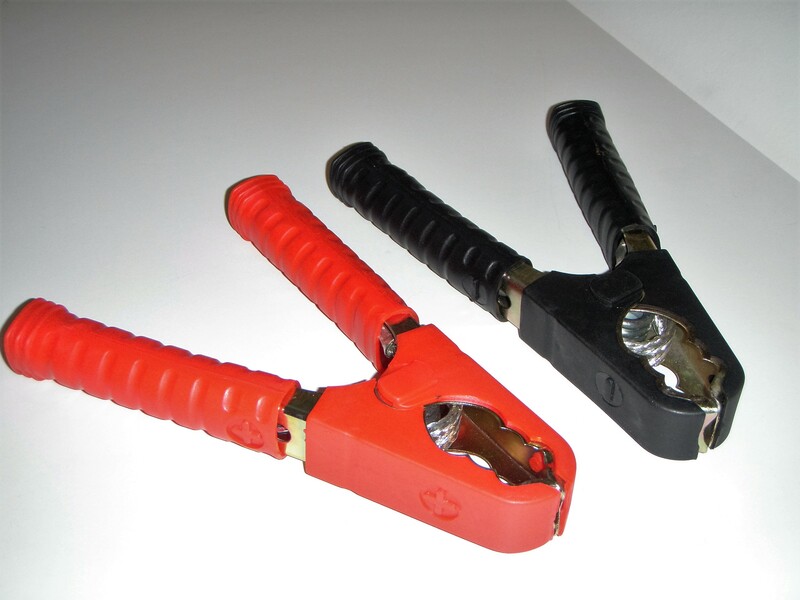 Length: 5 amp = 40mm 25 amp = 75mm 50 amp = 95mm PLEASE CHOOSE REQUIRED SET FROM DROP DOWN BOX. Tri-rated red or black 10mm cable, BS6231. 1 reel – 100m length. Please choose required colour from the drop down box. 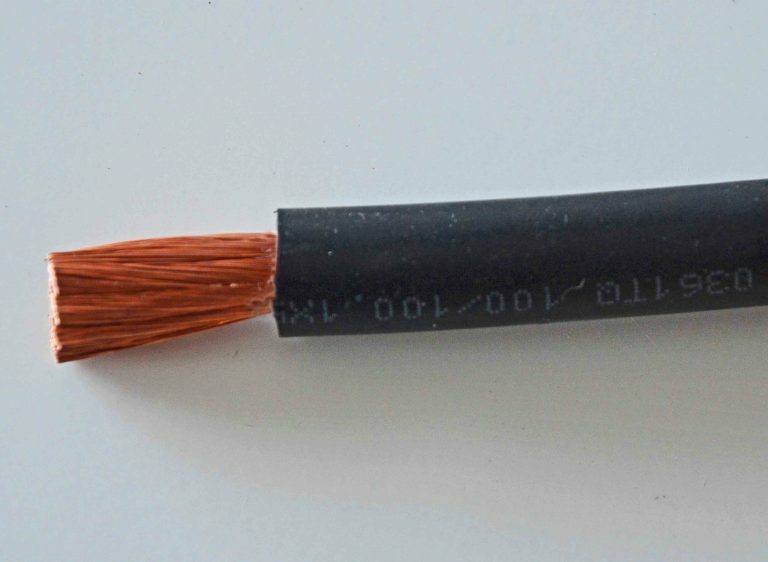 Tri-rated red or black 2.5mm cable, BS6231 – 100 metre reel. PLEASE CHOOSE REQUIRED COLOUR FROM DROP DOWN BOX. Tri-rated cable – 4mm – red or black, BS231 – 100 metre reel. PLEASE CHOOSE REQUIRED COLOUR FROM DROP DOWN BOX. 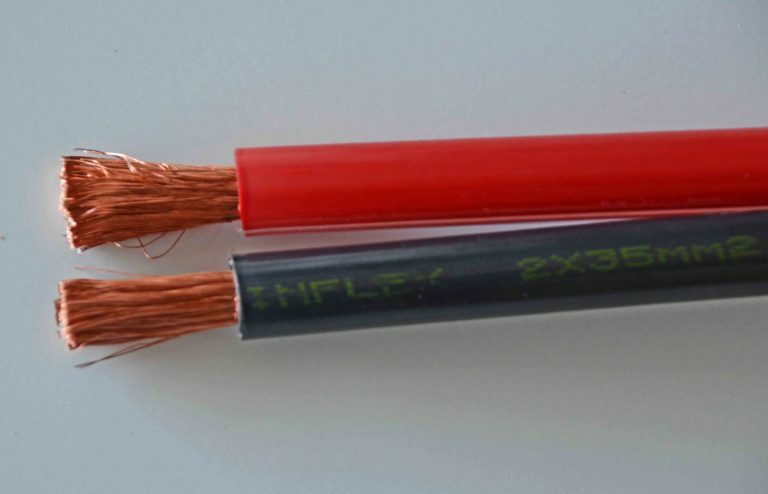 Tri-rated red or black 6mm cable, BS6231. 1 reel – 100m length. PLEASE CHOOSE REQUIRED COLOUR FROM DROP DOWN BOX.